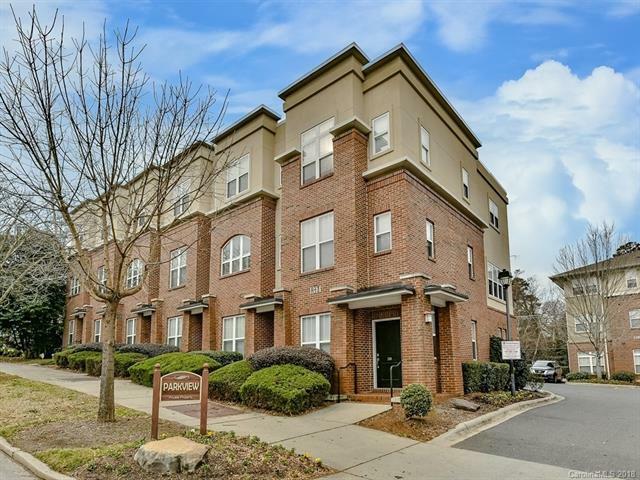 Amazing Dilworth townhouse-style condo with garage is move in ready. Near restaurants, parks, entertainment, and CMC. It is convenient to Uptown and the Metropolitan. This beautiful unit offers 3 levels with a flex room with wood floors, perfect for office or den, on the lower level. The open floor plan main level has a living room and dining room with hardwood floors throughout. The galley style kitchen features beautiful cabinets, granite countertops, and stainless steel appliances and a separate dining area. The upper level master suite has an attached private bath and walk in closet and additional bedroom and bath. Upper level laundry for convenience. One car garage with storage and epoxy floors. Refrigerator and washer/dryer to remain. Unit also available for lease.